The trong>Black™ B5163 Evo Rear Paddock Stand is the latest addition to the Black™ Pro Range. 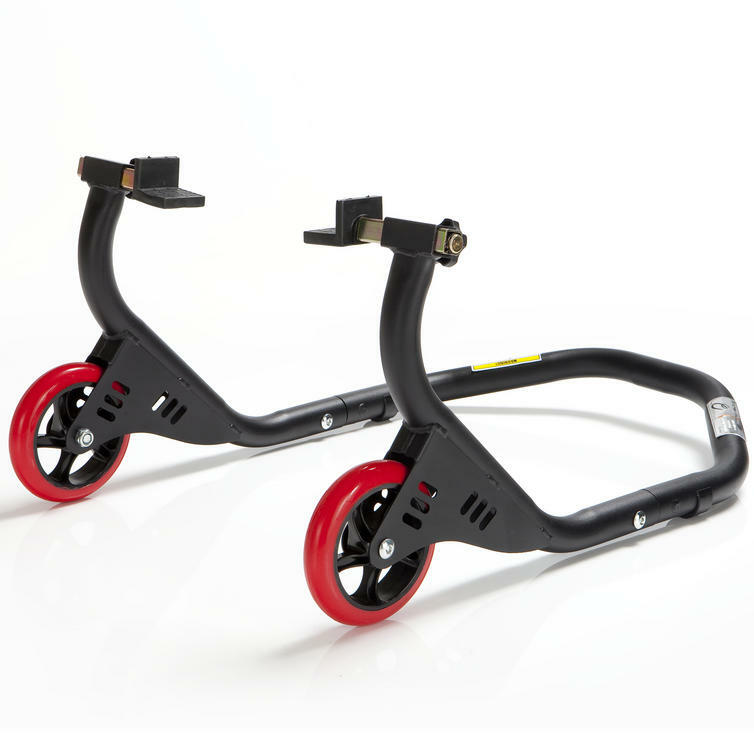 The Pro Range has an extensive line-up of of motorcycle stands and accessories. 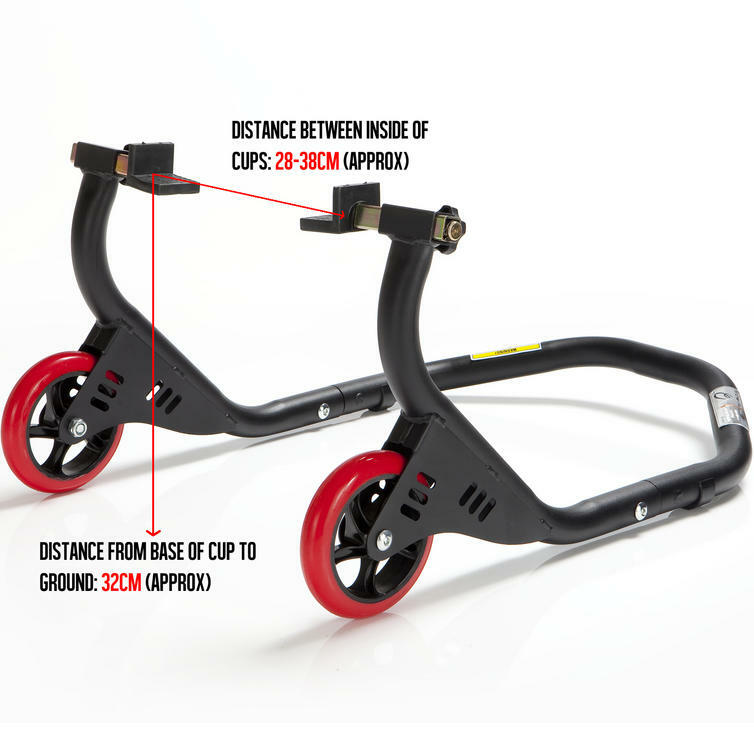 With a lightweight aluminium frame and high grip Polyurethane 80mm wheels for an ultra-smooth wheeling motion. Each of the A-frame upright supports have been CNC machined from a single piece of ultra strong Aluminium Billet, meaning you get a strong sturdy stand that is lightweight! This stand is perfect for dual swing arm bikes that aready have bobbin hooks fitted and comes supplied in only three pieces making it simple and easy to assemble. View all Black™ Motorcycle Paddock Stands. View all Motorcycle Paddock Stands. PLEASE NOTE: This paddock stand is supplied with rubber cradle cup adaptors only.